There are over 3 billion people using the Internet today, thanks to a defence project started in the 60’s in the cold war era. You would not be reading this if a group of scientists hadn't come up with a way to link computers around the world, almost 46 years ago. 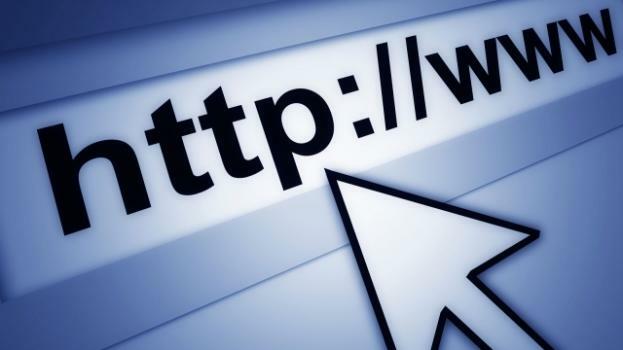 It might be surprising that the Internet is that old, but it is not to be confused with the World Wide Web - that was invented in 1989 by Sir Tim Berners-Lee to bring all the contents of the world to the tips of our fingers. The Web is basically the software that allows us to use the Internet, the de facto technology that completely changed the world. As of September 2014, there were over one billion websites on the Internet - although not all of them are still active. You know that blog you had in the ides of 2001? It's probably still floating around in the black hole of cyberspace. As pervasive as it is, around 60% of the world's population still doesn't have access to the Internet: there were 3 billion people online by the end of 2014. That's why Facebook CEO Mark Zuckerberg launched the internet.org initiative, to "bring the next" few billion people to cyberspace. It's certainly something the original creators didn't anticipate in 1969, when they successfully connected a network between UCLA and the Stanford Research Institute. The ARPANET project, as it was called, was funded by the U.S. Department of Defence, after America was beaten to space by the Soviets. But after that afternoon in 1969, progress was very slow, with only 213 computers plugged into the network 12 years later. It was the precursor of today's Internet, which was kickstarted in the nineties, when services like America On Line (AOL) and CompuServe were all the rage. The first web browser was Nexus, developed by Berners-Lee himself. Users had dial-up connections (which would block the fixed phone line) and speed was extremely slow. There was no such thing as Google, so it was much harder finding things online. By 1995, there were 16 million people online and AOL made the phrase "You've got mail" omnipresent in the nineties (remember the Meg Ryan and Tom Hanks movie? ), but Hotmail became the first free email service widely used, in 1996. The Internet's popularity paved the way for the 'dot-com bubble', with thousands of internet startups, and by the end of the nineties online-based companies were soaring on Wall Street. The bubble burst in 2000, but it didn't kill the buzz. In 2004, when Google went public, the instant success made millionaires out of 1,000 employees. And as of today, the most used social network in the world, Facebook, has 1,39 billion monthly active users. It's the world third largest "country." Memes have taken the internet by storm, so here we take a look back at the most influential memes of 2017. Suicide online gambling has led to hundreds of people committing suicide. Amnesty International and ProtonMail, the world’s largest fully encrypted secure email service, are working together to promote Internet freedom. Facebook - can the airborne internet possibly work? Bringing Internet access to third world and wilderness areas is a great idea but is it feasible? Facebook thinks so, but is this just fly in the sky? Reality stars Rob Kardashian & Blac Chyna welcomed their first child together on Thursday morning, and the internet has reacted wildly. Belief in a flat Earth is enjoying a resurgence around the globe, so to speak, and here's why. The Snooper's Charter: What does the European Court say about Theresa May's brainchild? As the European Court of Justice passes judgement on the Investigatory Power Bill, what could this mean for the UK?